From the inside, the minor procedures room of Dr. Chris Khorsandi’s Las Vegas-based plastic surgery practice, VIP Plastic Surgery, looks like any other. Adjustable leather stool. Black patient bed topped with fresh white butcher paper. Black and white print of a flower on the wall. The only difference? This room has been seen by millions of people on social media. Dr. Khorsandi, better-known by his Instagram handle @DocVegas, is a bona fide social media influencer. His Instagram account has over 175,000 followers and his posts regularly get hundreds of thousands of views. Khorsandi brings Instagram into the operating room, taking followers behind closed doors for an up close look at what plastic surgery is really like – and his massive viral success has shifted not only the public perception of plastic surgery, but how the industry functions as a whole. But unlike most Internet sensations, this didn’t happen overnight. Dr. Khorsandi’s rise to fame was the result of a long, meticulous, and surprisingly intentional process. But he didn’t start his practice’s social media account in search of fame. In truth, his motivation was much more grounded: as a new surgeon just getting a practice off the ground, traditional advertisements like billboards or magazine ads were prohibitively expensive. When he launched his practice in 2012, he saw social media as an attractive alternative. But it took time for him to achieve success. But when he made the switch to Instagram around 2016, that all changed. Instead of relying on standard ad fare of stock photos and corny jokes, Khorsandi began to experiment with posting edgier, more culturally-relevant content. He made plastic surgery memes that might’ve raised eyebrows at a medical society conference – but on social media, they took off. Within a year, Khorsandi had gained 20,000 followers on his account. As he started incorporating infotainment videos that showcased real patients and procedures, his account exploded. And so did his business. Dr. K’s Instagram fame led to world-famous influencers choosing him as their surgeon, which only served to amplify both his following and his bottom line. While other practices were trying to drive ad traffic to their website’s appointment request form, Khorsandi was fielding DM requests for procedures from all over the world – something that would be impossible to achieve through traditional media. And it’s not just him. After seeing Khorsandi’s stunning social media success, other plastic surgeons are following suit. @DocVegas didn’t just cause a viral sensation: it changed the nature of the industry. 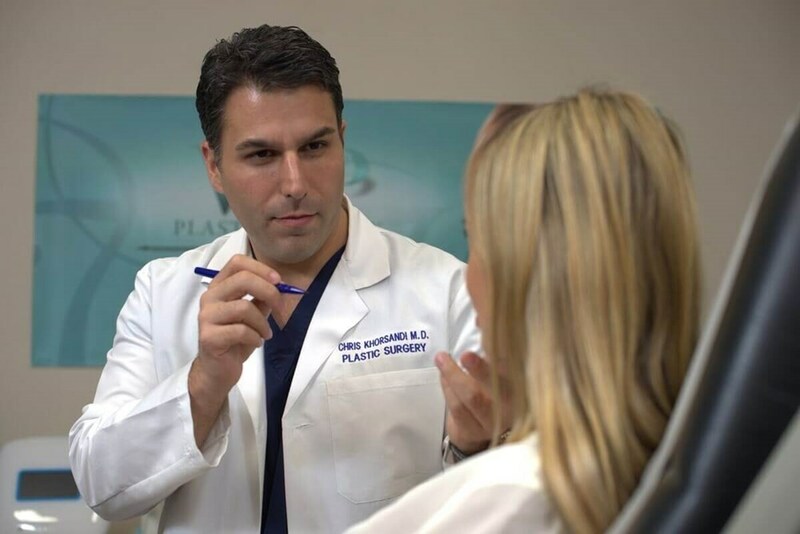 Now, other plastic surgeons are achieving success following in Dr. Khorsandi’s footsteps. Dr. David Sieber, of San Francisco, has 45,000 followers. 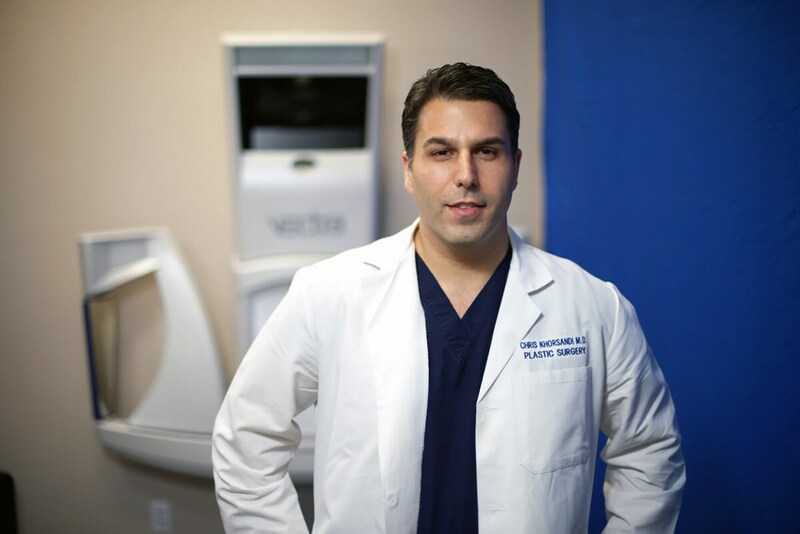 Dr. Kevin Tehrani, of New York, has 30,000. Surgeons all over the country are adopting the same tactics that Dr. Khorsandi used to achieve Instagram celebrity – so much so that it’s changing the way the industry works. To an outside observer, it’s almost hard to believe that – of all people – plastic surgeons are turning into Instagram influencers. But in Khorsandi’s mind, it’s a natural fit. Patients were migrating from Google search – which is how most practices had advertised previously – into social search. Instead of browsing Google images of Angelina Jolie for inspiration, prospective patients were sifting through hashtags on Instagram. Khorsandi realized this, and when he finally switched to the platform, there was a massive audience hungry for content that no one else was providing. And according to Dr. Khorsandi, it won’t stop here. Taken out of context, the idea of a plastic surgeon looking to Fortnite to try to generate business may seem far-fetched. But Khorsandi has a startling ability to spot trends before they hit the mainstream – and he’s been proven right before. The media landscape – and more broadly, the way we live our lives – is changing faster than ever before. In the 2000’s, social media star plastic surgeons probably would’ve seemed far-fetched, but in 2019, it’s changing the face of an industry. Who’s to say where this trend will go in the 2020’s?